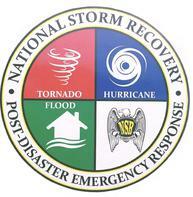 At National Storm Recovery we’ll give you the attention and personal service you’ll come to expect and enjoy. What do you call service? ​ We call it taking care of our customers. We focus our attention on service. Perhaps that is why we have so many satisfied customers since 1987. You and your family can be proud of our experienced installer's hard work to ensure professional, high quality installations. Although no magic formula exists for picking a roofing company, we hope we can provide you with beneficial information in helping you to make the difficult and important decision of finding the correct roofer for you. If we can be of assistance, please call National Storm Recovery for a free quality estimate.